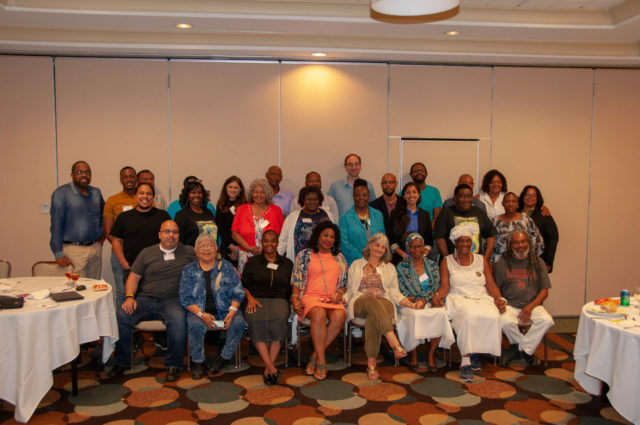 On June 8-9th, 2018, environmental justice leaders from across the United States traveled to Richmond, Virginia for the annual Environmental Justice Leadership Forum meeting. This year’s theme was ‘Strategically Aligned.’ At the meeting, members of the Forum and other representatives attended workshops on a variety of topics such as the National Environmental Policy Act (NEPA), 2020 Get Out to Vote strategies, developing strategic partnerships, and toxic chemicals. In addition, members had the opportunity to share the work their organizations are currently engaged in and identify strategies for success. Sarah James, the Elder Advisor and Spokesperson for the Gwich’in Nation who lives in Arctic Village, Alaska, talked about the struggles the Gwich’in have been engaged in around the threat from proposed oil and gas drilling in the Arctic National Wildlife Refuge. The Gwich’in are Indigenous peoples that live west of the existing Trans-Alaska pipeline system and refer to the area as The Sacred Place Where the Life Begins. Oil and gas drilling has threatened the Arctic National Wildlife Refuge, commonly referred to as one of the world’s last untouched wild spaces, for decades. The Trump administration is currently looking to sell a portion of the land for oil and gas exploration. The proposed development area consists of 1.5 million acres of coastal plains north of Brooks Range in Alaska. This area is public land and is part of the Porcupine Caribou Herd birthing grounds that the Gwich’in consider sacred. While drilling is not expected to occur for many years, the damage it would cause to the coastal plain and the Porcupine Caribou Herd is irreversible. The Gwich’in depend on the herd as their main source of food and other needs. The possibility of an oil spill or pollution impacting the herd and the health of the community is a significant concern and an environmental injustice. Furthermore, this sets a disturbing precedent – oil and gas drilling in the Arctic National Wildlife Refuge is sure to cause air, water, and land pollution, as it has already done elsewhere, and open the door to make this a common practice in other vulnerable communities. Due to the fact that this administration is trying to lease the rights of the land quickly, the Gwich’in and their supporters have not had sufficient time to raise concerns and submit public comments. It is essential that members of the local community have an equal voice in the decision-making process as they will bear the brunt of the impact, which could drastically affect their health and welfare for generations to come. Moreover, at a time when the United States should be combating climate change, it is inappropriate to engage in federal activities that contribute to increased greenhouse gas emissions. This is especially relevant to environmental justice communities as low-income and/or people of color are hit first and worst by natural disasters caused by climate change. 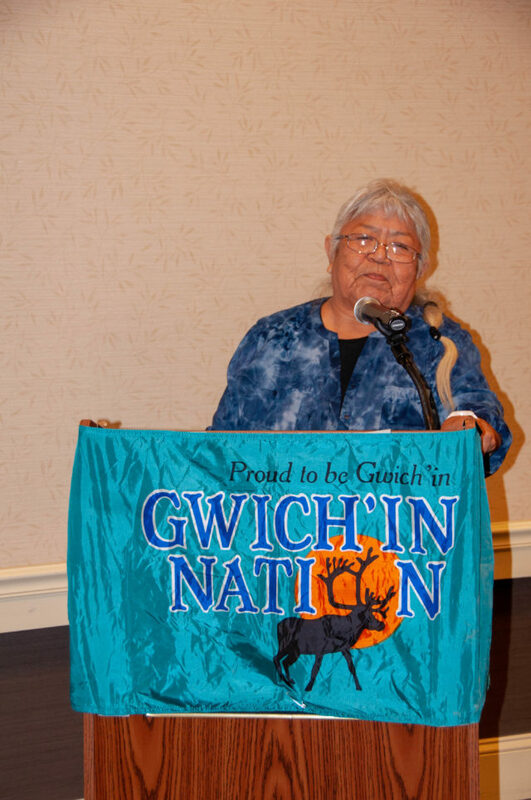 At the 2018 Environmental Justice Leadership Forum meeting, environmental justice leaders stood in support of the Gwich’in people and the importance of protecting their way of life and Elder Sarah James encouraged others to share their voices. The strong support of the Forum members for the Gwich’in is obvious in the recent letter to the Department of the Interior. If you support the human rights of the Gwich’in, please, contact your local congress member’s office and let them know why this is an important issue for you. This is an environmental injustice with climate change impacts that will disproportionately affect communities of low-income and/or color.